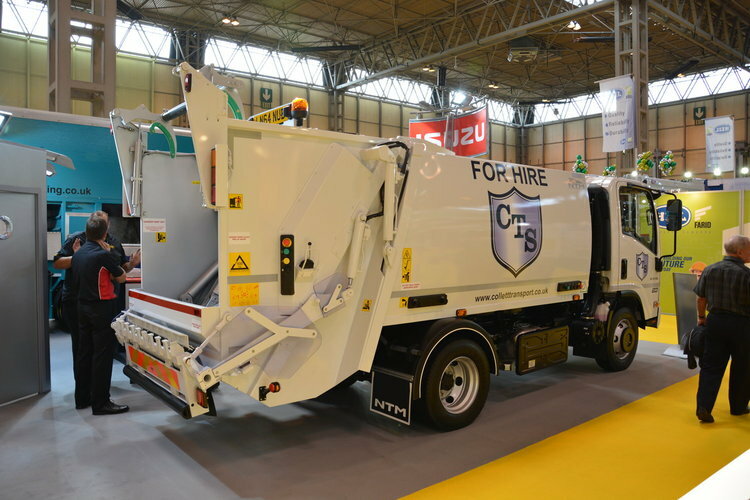 On the back of its most successful RWM show to date, refuse vehicle hire and maintenance company Collett Transport Services (CTS) has ordered six new vehicles to expand its municipal hire fleet, including its first Euro 6 compliant RCV. The vehicles, all fitted with NTM bodies, comprise 2x12-tonne and 1x15-tonne RCV’s with DAF chassis, and 2x 7.5-tonne RCV’s with Isuzu chassis, plus a Euro 6 Dennis Eagle Elite 6x2 with Olympus 19 body and Terberg OmniDEL bin lift. The first NTM is due for delivery at the end of October with the remaining vehicles arriving in April 2015. CTS has a hire fleet of over 120 vehicles, comprising primarily refuse and recycling collection vehicles and is continually investing in new vehicles. The company is going from strength to strength since becoming part of Specialist Fleet Services Ltd (SFS) in 2013. CTS offers flexible and competitive refuse vehicle hire packages for the short or long term including a quick response Spot Hire service. The company’s expertise includes total municipal fleet support from contract maintenance, workshop management, mobile repairs, roadside assistance and recovery, and complete vehicle refurbishment.